Two loyal FHG followers’ commented on my post, “Say Goodbye To The Stars And Bars“ (the flag for the Confederate states during the Civil War) last week. Both their comments compelled me to write this follow-up post. Ridding our landscape of symbols of hate and racial discrimination might help keep America beautiful. But heart surgery by the Great Physician is the only remedy for the hate and bigotry and gun violence prevailing in our country. We can’t legislate it away. We can’t wish it away. We can’t stop it. We can’t ignore it. And we can’t hope it will go away. We are powerless to control it all. I wish it were time. I’m ready to go home. How about you? 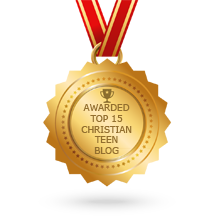 This entry was posted in A CLICK A BLESSING TODAY, CHRISTIAN FAMILY FUN AND HERITAGE, CHRISTIAN LIFE AND THE WORD, SETTLED IN HEAVEN and tagged apathy, bigotry, Civil War, Confederate United States, hate, Jesus Christ, moral anarchy, Rebel flag. Bookmark the permalink. I’m with you, Evelyn. The Lord can come take me home any time. Thanks, Sue. The sooner the better. Change hearts Lord in Your mercy and grace – Your children need Your help in Jesus’ Name. Amen. Amen, Evelyn. Thank you and God bless.